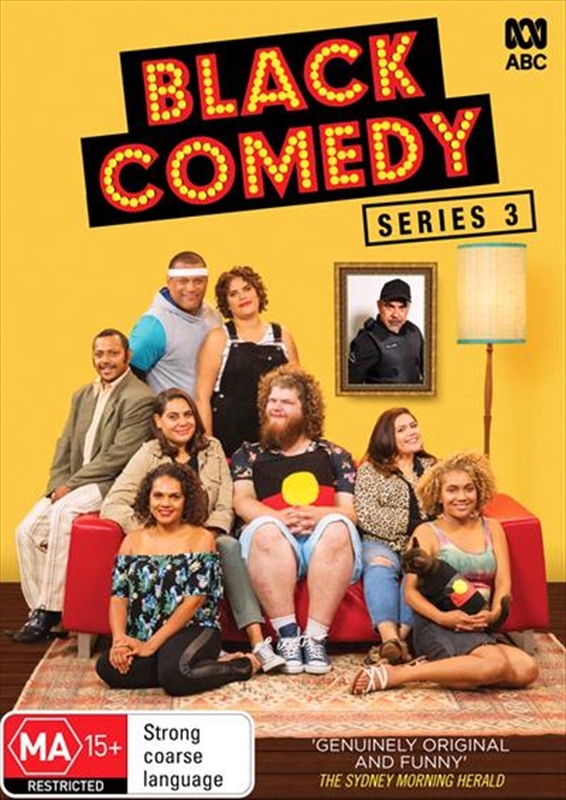 The third series of Black Comedy continues an acerbic, witty and altogether unapologetic comedic exploration of what it means to be black in contemporary Australia. The sketch comedy show is written and performed by some of the sharpest and funniest blackfellas in the country who carve up sacred cows, dismantle stereotypes, and turn modern Australian culture inside out.In this season, Black Comedy veterans Aaron FaAoso and Nakkiah Lui are joined by new writer/performers David Woodhead, a 20 year-old standup comedian from Darwin, social commentator Nayuka Gorrie and Bush Tucker Bunjie Gabriel Willie. Rounding out the core performing team are actors Wayne Blair (Mystery Road, Redfern Now) and Rarriwuy Hick (Cleverman, Wentworth), and recent NIDA graduate Dalara Williams and 18 year-old newcomer Maci-Grace Johnson.